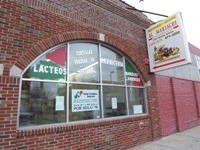 Off of Nicollet in the Eat Street district, El Mariachi restaurant, Grocery and Bakery is a one stop spot for all things Mexican. 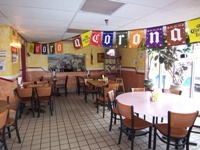 Not only is it a one stop shop, it’s also one of the most authentic Mexican restaurants in the city. Authentic inside and out, the mood is that of a warm homelike dining room but the food will warm you much more than the mood. Boasting a menu that includes seafood dishes spiced up in all the right ways, homemade salsa, and many terrific tacos, El Mariachi has something for everyone, and more than enough of it all. 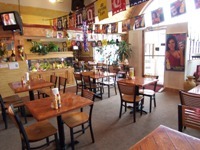 They help you out too, with food specials every day, and drink specials including a wide array of imported Mexican beer. The restaurant is only the start, though. 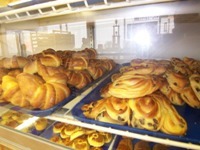 The bakery has fresh baked breads and pastries everyday of the week. 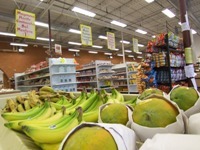 The grocery store has products as authentic as the restaurant has food and a deli too. They host live music on the weekends, and have an outdoor patio, weather permitting. Whether you need a great meal, some tasty pastries, groceries to get, or just a plain old good time, El Mariachi is all that and more.